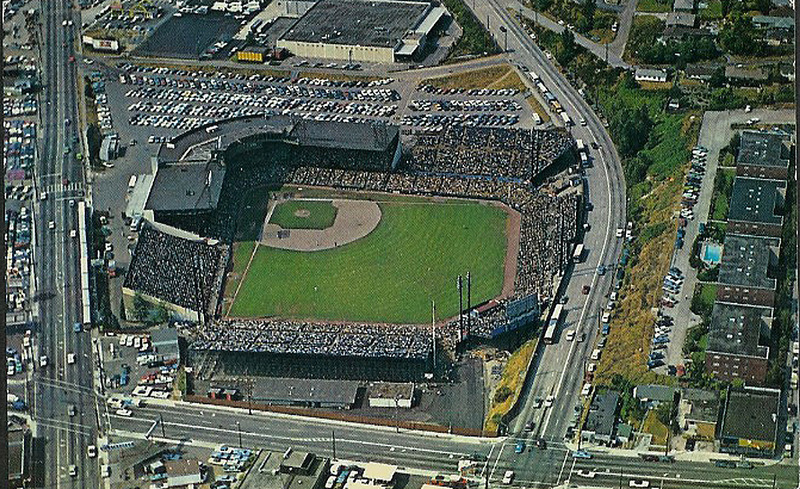 The Rainiers would immediately thrive at Sicks Stadium, winning 100 games and making the post season during their early years at this ballpark. As with nearly all of the teams in the league during this time, the PCL remained independent from Major League Baseball… not holding any affiliations to MLB clubs. In many ways, West Coast fans always felt that the PCL was a Major League in its own right and many players who were offered contracts to play in the Major Leagues, turned the offer down as they would rather be local heroes (with even better pay) in the Pacific Coast League, than to lose their positions as "cleanup hitters" or aces of the rotation in the PCL to become nothing more than bench players or mop up bullpen men in the Major Leagues.